Since the time, we have published top big data companies in India, we've received many emails to publish similar top data science companies in India. And so, we thought of writing a similar post here for some of the best data science companies in India. As stated earlier, a global coverage will be also there but some other day. 2018 was a great year for the data science professional and companies where they strengthen the unit. And 2019 has been even predicted to be better and beneficial. Harvard university has already said, data scientist is the most sexist job of 21st century and things are proven to be true as we grow. As per the report, alone in India data science industry generates USD 2.71 billion revenue. And best part is, this value has been multi-fold in recent years. 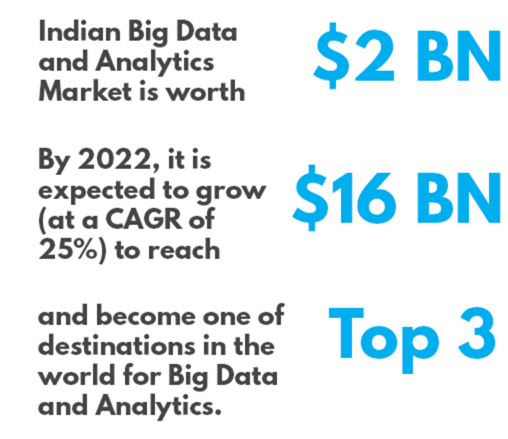 It has also seen that data science is growing with a healthy rate of 33.5% (data shared in 2018) CAGR. The below statistics has been as per the data shared by NASSCOM (the trade association of IT BPM industry in India). And the figure looks pretty impressive. Now there are many companies who have been the early contributor to this amazing industry. And today, we’re going to name a few of those who have impressed with their contribution, research, and result. We're listing only that top data science companies here whose major solutions are in data science and a niche company. And so, similar to our other dedicated post, you won't find companies like TCS or Accenture here. These best companies for data science listed here are highest paying analytics companies in India and making a positive impression towards client and society. They're actually solving the problem. Be it a banking and finance problem or healthcare, they're making a huge contribution. 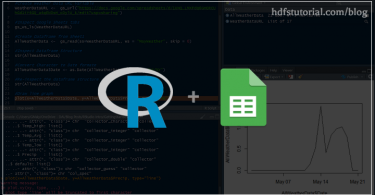 Now let's start and see some of the top data science companies in India where you can work also and get your work done as well. Although this list has been limited to some top companies in data science who majorly deals in this area only. But again, these are not the only companies working and can be hundreds more. And so, if you're working in a company which is a niche advanced analytics company or getting service, please share in the comment and we will include them here as well. Course5 might sounds a new name in the data science field. But the fact is it has been the result of merger of two established companies Blueocean market intelligence and Cross-Tab. Blueocean used to be one of the leading machine learning companies in India. And the fact is, we're mentioning Course5 just because of Blueocean. They are providing digital analytics, AI, Machine Learning, and Market intelligence related services to global clients. The company has the products like Course5 Classification, Course5 Compete, Course5 Information, Course5 Discovery, and Course5 Optimizer Suite are in digital segment while Course5 Link, and Course5 Creative Testing are in Research AI segment. Manthan is another reputed name in the field of data science and advanced analytics. 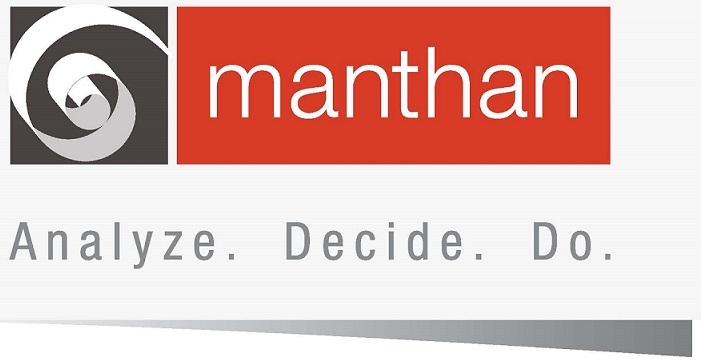 Being a dedicated analytics company, Manthan focuses on analytics optimization and analytics-based business solutions. The Company was founded in 2003 and since then they have witnessed many moments to cheers. With the products like Customer Marketing Platform, Manthan Analytics Platform, Merchandise Analytics, Engage247, and VendorLink, Manthan is leading the segment of analytics and AI in India. So, far Manthan has received total funding of $98.4 million in 7 rounds of funding. Fractal was also in the list of top big data companies in India and they are the top data science companies in India as well. Founded in 2000, the company majorly deals in the following domains- CPG, Financial Services, Insurance, Retail, Technology, Life Science, Healthcare, Telecommunication and Media industries. It is one of the best data science companies in India and has presence across 12 different global locations including- United States, UK, and India. Most of its core clients are based in San Francisco Bay area, Greater New York area, London, Mumbai, New Delhi, Singapore, and Dubai. Cartesian consulting is another well-known data science company in India which was founded in 2009. This Mumbai, India based company is helping organizations to increase revenue, take business decision, and marketing innovations. The company is dealing in various verticals including telecom, eCommerce, and hospitality. This constitute their major amount of work. The customer range of Cartesian are in 10 countries and around 50 global brands take their services. 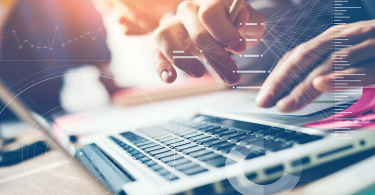 As of now, Cartesian is offering services related to customer analytics, digital analytics, demand forecasting, recommendation engines, NLP, and text mining. 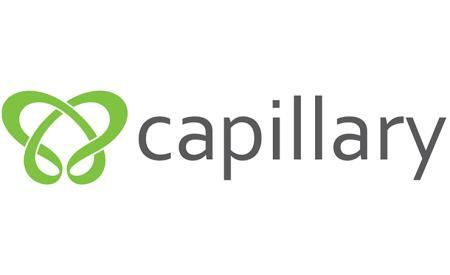 Capillary Technologies is another leading AI company in India started in 2008. They offer customized cloud-based customer analytics and marketing platform for the retailer and consumer business. Founded by Ajay Modani, Aneesh Reddy, and Krishna Mehra,company is headquartered in India. The company is currently having 14 global offices and have presence in 30+ countries with 400+ clients. Capillary is powering 35k+ stores world-wide with their product and services. More than 300 million customers are getting benefited from their products and services. Their major products include- Insights, Engage, Anywhere Commerce, and Loyalty. The #6 in the list of our top data science companies is Think Big Analytics. The company later got acquired by Teradata and now called as "Think Big Analytics, a Teradata company". The company so far has received around $4.2 million of funding is a leading company in advanced analytics space. It was started in 2010 and since then they have developed like a dream. Founded by Katie Bodkin, Rick Farnell, and Ron Bodkin, Think Big Analytics is serving some of the leading companies in the world including- Danske Bank, PCA Predict, Square Enix, Johnson & Johnson, Nasdaq, Facebook, HSBC, ING, and British Airways. 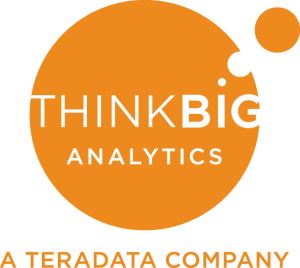 Now, Think Big Analytics is being known with Teradata Consulting. 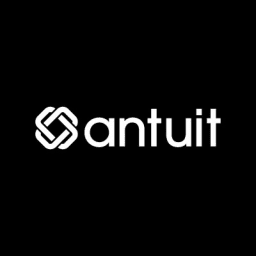 The next in our list for best advanced analytics companies in India is Antuit. Started by Arijit Sengupta and Kumar Ritesh, the company has so far received a total of $60 million and is backed by Goldman Sachs. It provides actionable intelligence to power faster, smarter decision-making system. The company was started in 2013 and in the short-span of time, it has grown amazingly. Cropln Technologies is leading data analytics in India. The company is helping develop and deliver innovative solution in Agtech space. The company was founded in 2010 by Krishna Kumar. So far, they've received $11.7 million of funding in 6 rounds. 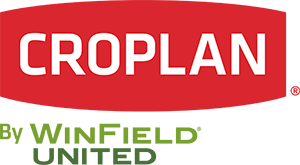 CropIn has many major products like- smartfarm, smartrisk, mwarehouse, and smartsales. 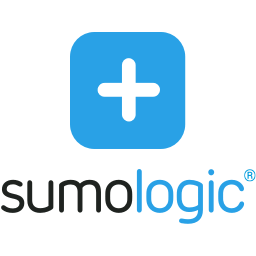 Sumo Logic is a cloud-based machine data analytics company which is focused on security, operation, and business intelligence areas. 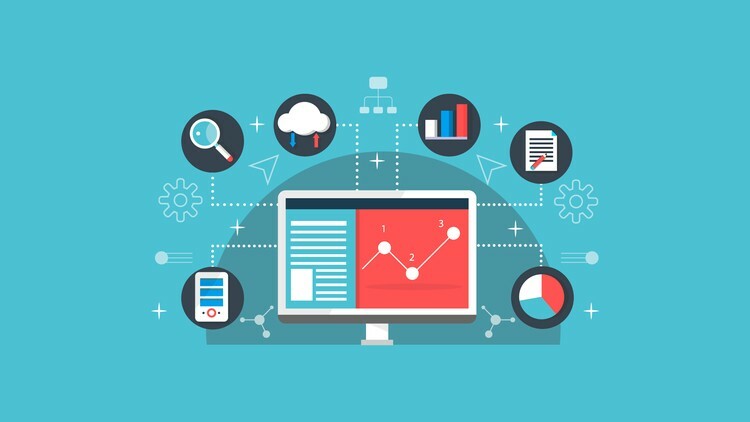 They provide log management and analytics services to provide real-time data analytics. The company was founded by Kumar Saurabh and Christian Beedgen in 2010. Since then Sumo Logic has seen many good days. As per the recent data, the company has analyzed 100+ petabytes of data for 1600+ customers globally. Some of the top global companies like Adobe, Orange, and Delta are their clients. ThoughtSpot is one of the fastest growing data science company offering analytics and business intelligence solutions. It helps you explore, analyze, and share the real-timebusiness analytics. The company has been founded by Abhishek Rai, Ajeet Singh, Amit Prakash, Priyendra Deshwal, Sanjay Agrawal, Shashank Gupta, and Vijay Ganesan in 2012. 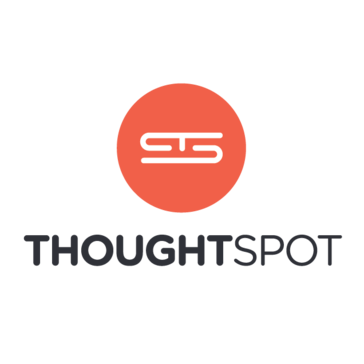 There are many world's leading investing firms like Capital One Growth, HP Pathfinder, Khosla Venture, Lightspeed Venture, General Catalyst, Future Fund, Sapphire Ventures are backing ThoughtSpot. These were some of the top data science companies in India. We have tried to include the best data science companies depending on our research. Also, we know the fact that there are hundreds of other companies which are doing amazingly well. So, we request you to share those names with the relevant information with us in the comment. We will research on that and add those in our list. If you've worked in any of these top analytics companies, please share your experience with us. These are some of the top data science companies in India which you can join to work or get your work done. These companies are working hard to make significant and positive changes in the environment which makes the business better.